Solo is also called as Surakarta. It is an old city that is continually proud by its society. That’s right! Solo society is so smart to keep their local culture. It is usually used as a rest-place for the tourists who want to go to Yogyakarta. A lot of things can be done in Solo, start form shopping tour, cultural tour, culinary, and interact directly with the hospitality of the local people. You can start by exploring the city while seeing the Solo Palace. You have to obey some rules to enjoy the glory of Surakarta Palace. Some of the rules are no wearing eyeglasses, sunglasses, jackets, flipflops and short pants. From the palace you can buy some ‘Batik” and quality crafts in the traditional market called Klewer Market. Some of the famous batik enterprises in Solo are Batik Keris and Batik Danarhadi. If you want to know more about Batik, please come to the House of Danar Hadi, the most complete Batik museum in Indonesia. Complete your holiday in Solo by enjoying the culinary, watching the cultural attractions such as Solo’s dances and the leather puppets. If you’re lucky, you can watch the annual event of “Solo Batik Carnival”. It is an annual carnival that uses Batik as the main material of the costumes. Culinary is the most dominant thing in Solo. It serves many delicious traditional snacks and foods. Some of the typical foods in Surakarta are; Liwet Rice, Timlo Rice, gudeg Rice, Cabuk Rambak, Notosuman Pancake, Intip (made of rice), Bakpia Balong and many more. You also can choose various accommodations easily in Solo. In the centre of the city, there is here-stars hotel like Hotel Indah Palace and for the international class hotels, it provides Ibis Hotel and Novotel. The other interesting activity in Solo is the nature around it. You can enjoy Tawangmangu waterfall and Selo tourism complex. Just stay for some days to explore this exotic city. 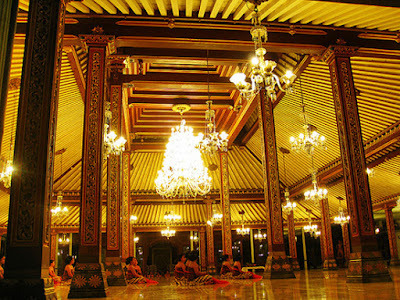 The Surakarta Palace is the cultural centre of Solo city and opened for public every day. This Palace building’s area is still used as the residence of Sunan and the house hold of his palace that still runs the royal tradition till now. There is an Art Gallery in this Kasunanan Surakarta Palace. It saves various historical things that have high art values and history. Some of the existed-collections are golden chariots, various weapons, leather puppets, and also various gifts from the Europe Kings and the other ancient relics. From its architecture, this palace is one sample of the best architecture of Traditional Javanese palace. The palace building consists of the core building and the supported-environment such as Gapura (a gate) called Gladag in the south part. Then, there is also Agung Mosque and Batik Market that is known as Klewer Market. Generally, the division of the palace covers: Alun-Alun Lor (the North Square) Complex, Sasana Sumewa Complex, Sitihinggil Lor (the North Sitihinggil) Complex, Kamandungan Lor (the North Kamandungan) Complex, Sri Manganti Complex, Kedhaton Complex, Kamagangan Complex, Srimanganti Kidul (the South Simanganti) Complex, Kemandungan Kidul (the South Kemandungan) Complex, Sitihinggil Kidul (the South Sitihinggil) Complex and Alun-Alun Kidul (the South Square). These palace complexes are also surrounded by Baluwarti, a defense wall with a height about three to five meters and a thickness of about one meter withoutthe pavilion. The Surakarta Palace is a symbol and a forerunner of Surakarta city which is known as Solo city. It a historical city that should you visit when you’re in Solo. 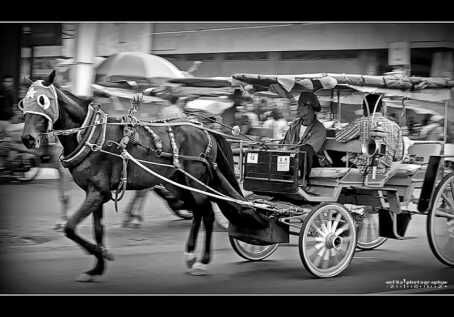 Various transportation facilities can be used to reach the location of its Palace, especially the traditional transportations like pedicab and ‘Andong’”. Its location is in the centre of Solo city, near to some landmarks of the city such as; Klewer Market, Balaikota and Gede Market.